Jollibee Hong Kong is reviving its growth path with a fourth outlet and plans to add another 11 restaurants in the next five years. Jollibee Foods Corporation (JFC) VP Dennis Flores says the brand has decided it is time to expand overseas, with room for more competition in Hong Kong. The Filipino fast-food chain entered Hong Kong in 1996 with an outlet in Central. The number of restaurants reached five at one point, before business dwindled and forced closures, reports the Hong Kong Economic Journal. The chain started reopening outlets last year. 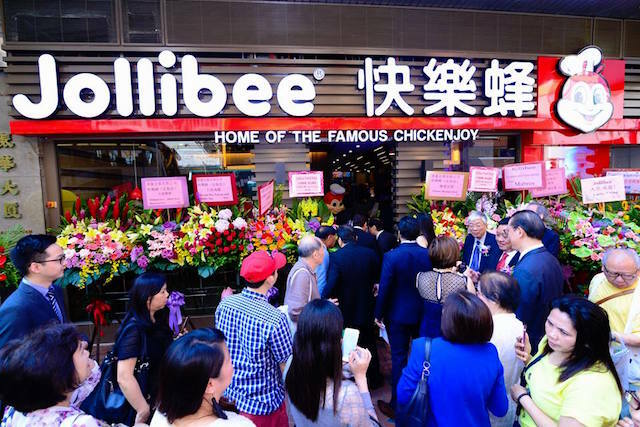 Franchisee representative Sandra Ng says they decided to open a store in North Point after noticing Jollibee’s fried-chicken products were becoming increasingly popular with Hong Kong people. Also, many Filipinos live and work in North Point. Founded by Filipino Chinese Tony Tan Caktiong, Jollibee is the Philippines’ largest fast-food chain with 1145 outlets internationally. Tan was listed as the fifth-richest person on Forbes Philippines last year with net assets of US$4.1 billion. Next articleWilcon Depot books P887M in April-Dec.